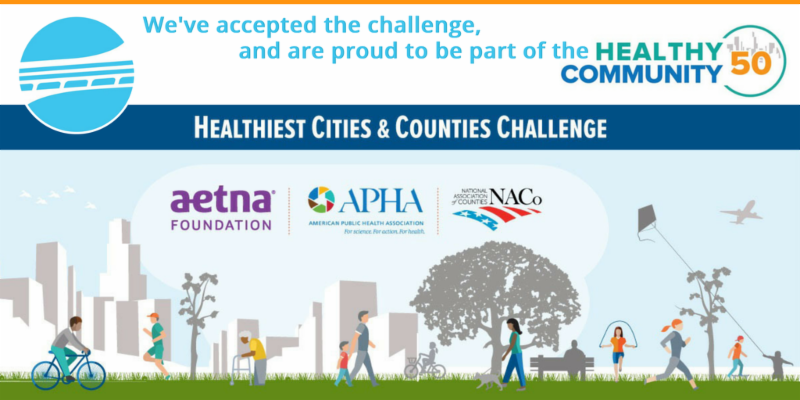 To help improve public health through our communities, the Aetna Foundation, the American Public Health Association, and the National Association of Counties announced on September 15 the first-round winners of the Healthiest Cities & Counties Challenge. The HealthyCommunity50, the 50 cities and counties selected, each receive a $10,000 community seed grant to implement a program that will demonstrate measurable improvements around key social determinants of health. The MPO is thrilled to announce its selection for a HealthyCommunities50 seed grant! Together with our partners – the City of Tampa, Florida Department of Health-Hillsborough, HART, the Planning Commission, and the Coalition of Community Gardens – we will focus on neighborhood access to fresh produce. “The efforts to improve food quality through our community garden coalition, while fostering walkability, bikeability, and transit use, will serve as a guide to other communities interested in improving community health through active living,” said Hillsborough MPO Chair Lesley “Les” Miller, Jr.